<Nutrunner mode> In this Nutrunner mode the tool tightens by continuously increasing torque until target torque is achieved. Use Impact mode fastening for all types of joint conditions simply by adjusting speeds and impact frequency. Multiple fastening methods and flexible programming allows for complete fastening process customization. This allows for a tailored fastening process that is specific to your application. This customization insures that your part will be fastened correctly and accurately. Users can program various fastening methods, speeds and accelerations to get the desired results. 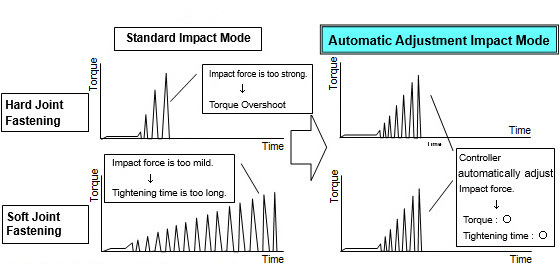 The SHDN series tool offers an Impact mode setting that automatically adjusts pulse speed and frequency to create repeatable torque accuracy with minimum reaction. This auto Impact mode is perfect for changing joint conditions on the same work piece (ex.soft joint / hard joint). The SHDN tool system has over 66 judgement parameters which can be used to insure high quality fastening. By judging fastening criteria during and after each fastening cycle, our fastening systems can detect almost all abnormalities such as cross, stripped or contaminated threads. Each production cycle results must be within the limits programmed to meet specified tightening criteria. Using torque, time, degrees (angle), and current in any combination we can ensure that each cycle was completed within suitable parameters for a quality fastened part. 66 total judgment criteria, 32 No Good (NG) end-of-cycle items and 34 Trouble (TR) in-process judgement criteria available. Batch count function is available for tracking multiple fastening cycles in a single workpiece. Once the set number of cycles in the batch are completed satisfactorily an OK signal is sent. Each cycle in the batch can run the same program and parameters or unique program and parameters. This is useful when tightening to different torques or using different fastening methods within a single workpiece. This function offers great flexibility in the production process and allows the tool to be set to each workpieces unique characteristics and specifications. Additional settings are available to increase the tools production process flexibility. Optional settings such as Count UP/DOWN indication, fastening OK count/OK+NG count, count backward/forward are available to meet your various tightening processes. Minimum tool weights of 0.95kg (16N·m Pistol type) are achieved by using powerful, compact motors and lightweight rigid resins in the tool design. The new designed motor is so efficient because the operating temperature is restrained, even during the continuous duty cycle. The thin and flexible tool cable makes operators much easier to handle the tool, because it can reduce their strain and fatigue. The new space saving and light weight controller can be installed in any location. 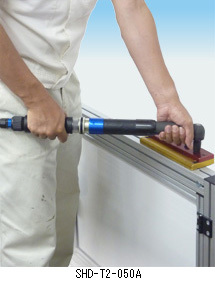 With its compact size you can install it on various places such as line-side or on top of a cart. One million consecutive running test, at rated torque, guarantees outstanding durability. High precision and high efficiency of the planetary gear contributes toward this high durability and reduces operating noise. Non-contact, non-wear trigger switch makes the tool trigger highly durable. 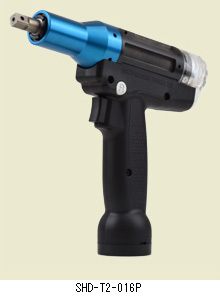 Two speed trigger provides more accurate tool socket and fastener thread engagement. End of cycle data (OK/NG) can be easily confirmed by 3 brightly colored LEDs. The color and status (Blinking/Steady) of the LEDs can be user defined based on error/ fault codes. Resolver for measuring degrees of rotation (Angle Detection) ensures high reliability and anti-shock durability. All the tools are inspected and calibrated prior to shipping and are ready for production just by hooking up to the controller. Sanyo's designed quick response motor can reach seating torque at maximum speeds with minimal over-run issues, therefore it can fasten highly accurate at decreased cycle times. Fastening motions and sequences are fully programmable. You can change fastening parameters such as tightening speed and acceleration ratio. Also, you can program complicated fastening motions such as double tightening. Fastening data is output through a standard RS232C port. 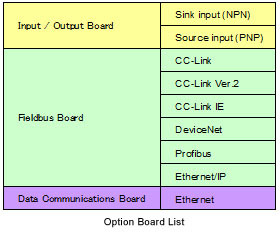 Other common fieldbus options such as CC-Link, DeviceNet, Profibus and Ethernet (TCP/IP) are also available. In case more than one option board is required, there is an attachable expansion unit that allows for up to 4 fieldbus boards to be used. For example, some customers send fastening data to an upper-level server via Ethernet and control by CC-Link. Up to 22,500 pieces of fastening data can be saved to the controller memory. Recorded data can be read by Sanyo software . From there it can be saved to a PC and exported to Excel file. 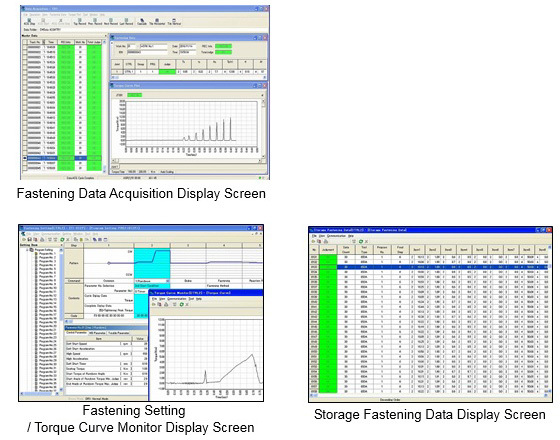 By using the User Interface Terminal Software, fastening parameters & programs can be set up and storage fastening data and torque curve data can be collected. Recorded data can be saved as a file, and can be outputted to the file such as CSV. User Interface Terminal has two versions Basic and Full. Basic version allows for fastening setting and storage fastening data. The Full version supports all UIT functions such as data acquisition, torque curve monitoring, maintenance etc. 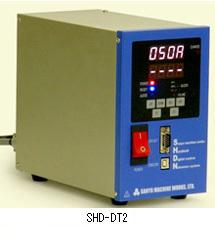 *1 SHD-T1-012P, SHD-T2-010P, SHD-T2-012P and SHD-T2-016P four models only. *3 Square 9.52 or square 12.7. In case of over 45N·m, it is recommended to use square12.7 type. Special Nutrunner also can be supplied. The above-mentioned specification may be changed without prior notice.